At AnglicareSA we’re proud to have a team of more than 700 incredible volunteers. For some, volunteering is about giving back to the community and the desire to make a difference. For others it might be about socialising, meeting new people and making friends. And for some it’s an opportunity to develop new skills, build professional experience and try out a potential career path. There are always diverse volunteering opportunities regardless of your motivations. Ever thought about getting involved? Here are four reasons why you shoulder consider becoming a volunteer this year. The most recent State of Volunteering in Australia report (2016) found that 93 per cent of people saw positive changes as a result of their volunteering efforts. You may feel strongly about something, such as poverty and homelessness, and desire an opportunity to make a difference in these areas. Many of our volunteers talk about how rewarding it is to help others in their own community – in many cases those less fortunate who may not have a voice. Understanding what struggles other people are experiencing can provide you with fresh perspectives on your own life and daily routine. 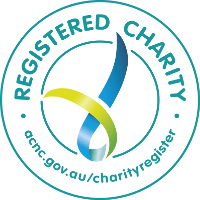 Not-for-profit organisations like AnglicareSA, are committed to doing good for society. By volunteering for these organisations, you participate in helping our society meet the needs of people from all walks of life. According to Volunteering Australia, research demonstrates that volunteering yields a 450 per cent return for every dollar invested. Nationally, this is an estimated annual contribution of $290 billion. 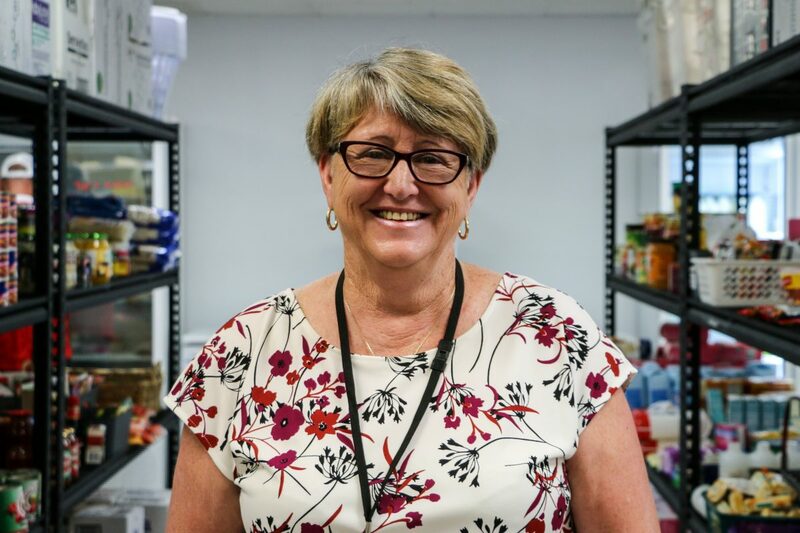 Since retirement, Margaret has been volunteering in the frontline of AnglicareSA emergency assistance for around 18 years. For many years, research has supported the fact that volunteering is highly associated with greater health and happiness. Psychologists understand thatvolunteering results in a ‘helper’s high’, a powerful physical and emotional feeling experienced when directly helping others. Doing good for the community provides a natural feeling of accomplishment – it’s a great way to build your confidence and self-esteem, and to keep active (especially for older people). Volunteering almost always involves joining and being part of a team, which is likely to bring a new sense of personal value into your life. It can also be a fun and easy way to explore your interests or get outdoors. If you work in an office, you might consider volunteering in a community garden, helping organise events, or designing activities for older people or children. 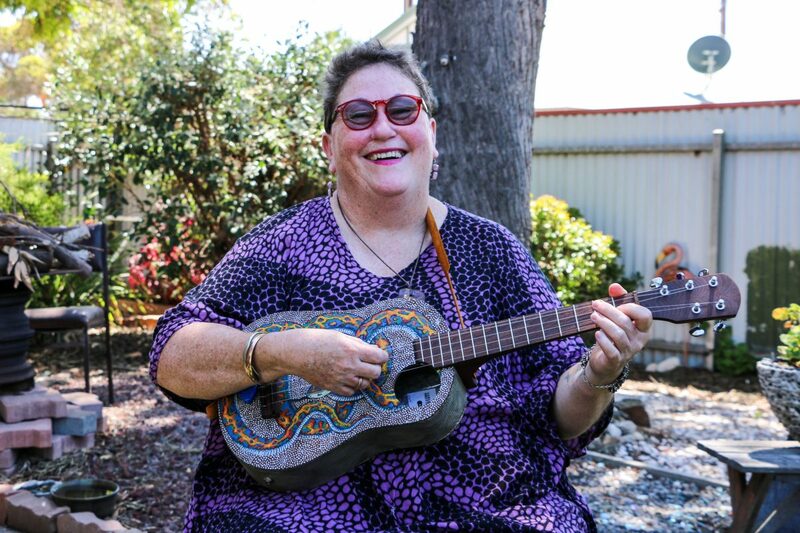 AnglicareSA volunteer Jenny is a musician and plays the ukulele and sings for our aged care residents. Just because volunteer work is unpaid doesn’t mean you won’t pick up new skills. In fact, many of our roles provide extensive training, and opportunities to gain accreditations. Volunteering gives you a chance to try out and gain experience in a new field without the long-term commitment. There’s also an opportunity to network, build professional contacts and create new relationships in an industry or area that you’d like to transition into. From the other side of the fence, employers value potential employees who have volunteer experience. It adds an extra dimension of personal character to your resumé, and for organisations like us whose focus is on supporting the community, previous experience in a community volunteering role is highly regarded. 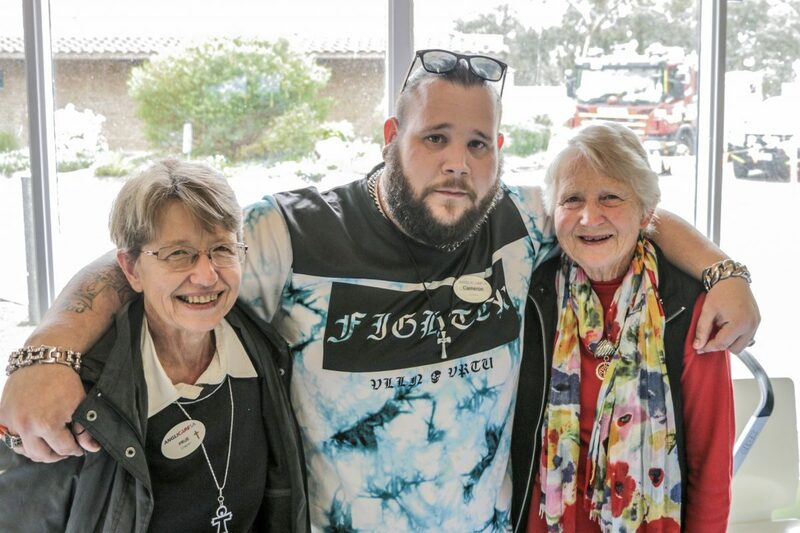 Cameron has been volunteering in various roles with AnglicareSA for around one and a half years while he studies to become a priest. By volunteering, you get to know others in the community who you may have previously never had the chance to meet. It provides you with another social environment outside of work, university, school or family. Our volunteers come from all walks of life. Some are young, some are older – some have plenty of life experience and others are just getting started on their journey. And you’ll often find other volunteers will have similar personal values to yourself. Research suggests, volunteering often runs in the family – children who volunteer with parents are more likely to become volunteers as adults. 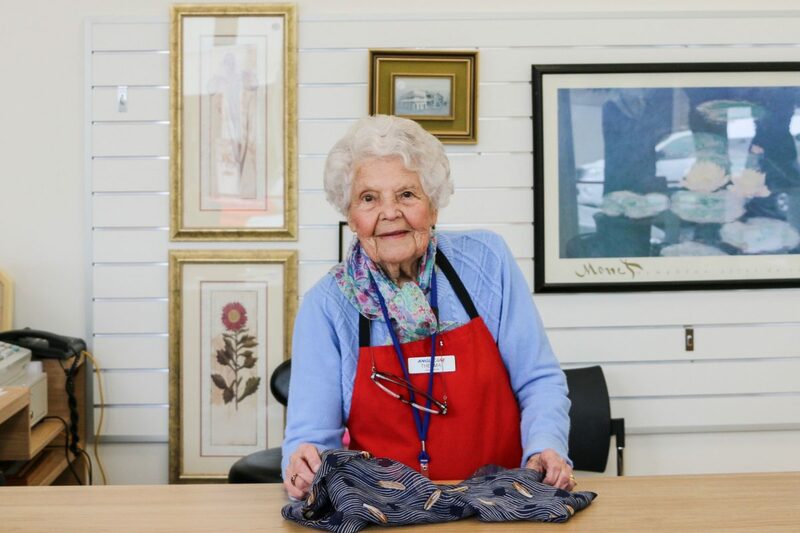 96-year-old Thelma volunteered every Wednesday for almost 20 years as a retail assistant at our Magdalene Centre in Adelaide CBD. As the demand for our services increase, we’re always looking for more people to come on board. 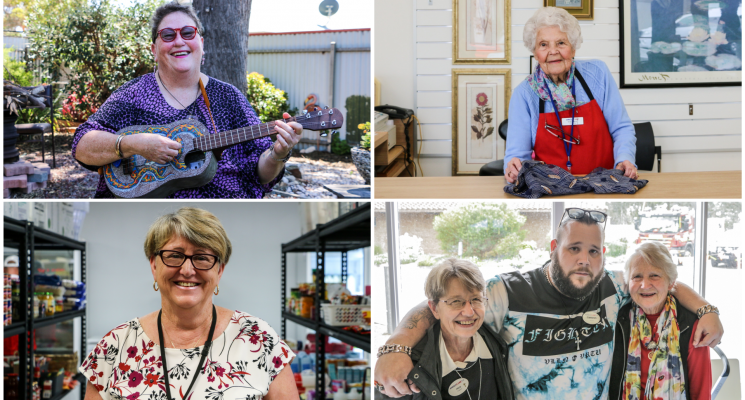 We offer a diverse range of volunteering opportunities from gardening, community engagement events, disability, administrative and youth work, to aged care and child care assistance. Would you like to work with families, children, older people or a range of age groups? What skills can you bring to the role? What areas are you passionate about? Interested in finding out more about volunteering? Check out our current volunteer opportunities.